Lucas Mondelo, César Rupérez and Belén Arrojo have won the Bronze Medal with the Spanish National Team after defeating Belgium (67-60) in the World Championship played in Tenerife. Spain had a good start of the tournament, defeating Japan (84-71) and Puerto Rico (78-53), before losing against Belgium (63-72) and being forced to beat Senegal (63-48) in order ro reach the Quarterfinals. Canada was Spain´s oponent in the Quarterfinals and after suffering during the first 30 minutes, the girls coached by Mondelo and Rupérez had a strong fourth quarter and won the game, qualifying to play the Semifinals for the 3rd time in Spain´s history. Unbeaten Australia was the rival in the Semifinals and despite Spain reaching the start of the fourth quarter leading 58 to 50, finally the combination of a super dominant Cambage (33 points, 15 rebounds, 4 blocks) and a very strict refereeing with the spanish posts (25 fouls to 15) allowed Australia to qualify for the World Championship´s final. 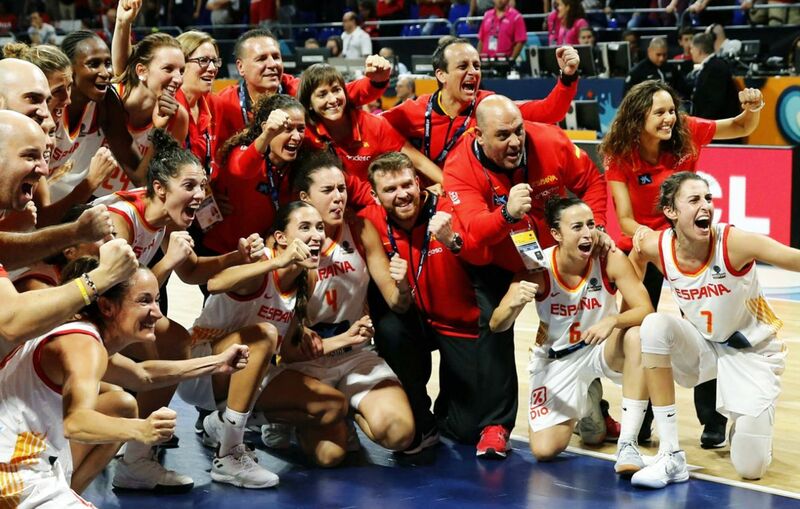 Spain was able to recover from this hard loss and took revenge from Belgium (67-60) in the game for the 3rd position, obtaining the 2nd Bronze Medal in the World Championship in Spain´s history. After this great result, Lucas Mondelo has won his sixth medal with Spain in six years and has won 100 games with only 13 losses. With no time to rest, Lucas Mondelo and César Rupérez have joined Dynamo Kursk and Belén Arrojo has joined Perfumerías Avenida.